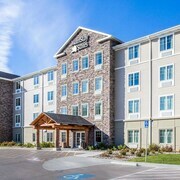 Situated in Rapid City, this hotel is within 1 mi (2 km) of Rushmore Mall and Pirate's Cove Adventure Golf. Journey Museum & Learning Center and Central States Fairgrounds are also within 3 mi (5 km). 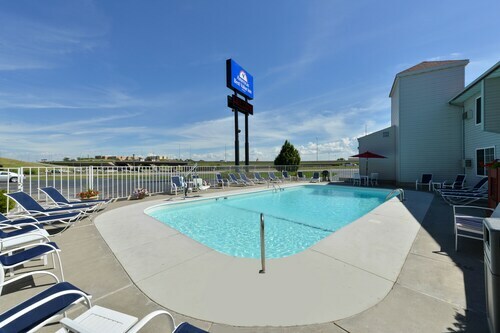 Located in Rapid City, this family-friendly hotel is 1.8 mi (2.9 km) from Dakota Fields Sports Complex, and within 6 mi (10 km) of Central States Fairgrounds and Rushmore Mall. Berlin Wall Exhibit and Journey Museum & Learning Center are also within 6 mi (10 km). A short drive from downtown Rapid City, and the Rapid City Civic Center/Rush Hockey Arena. Bear Country and Reptile Gardens are 12 miles away, and Mount Rushmore is 25 miles. 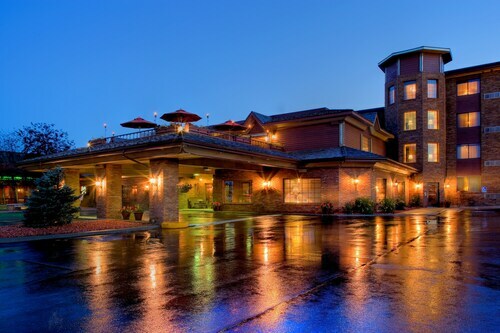 Situated in Rapid City, this hotel is 1.9 mi (3 km) from Dakota Fields Sports Complex and 3.1 mi (5 km) from Pirate's Cove Adventure Golf. Rushmore Mall and Central States Fairgrounds are also within 6 mi (10 km). 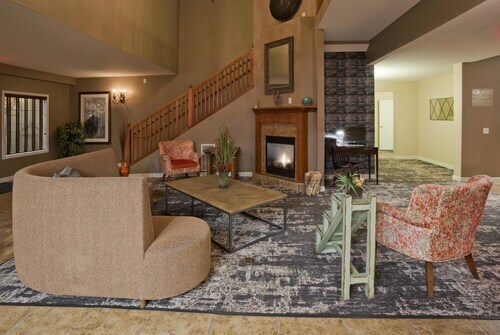 Located in the heart of Rapid City, this hotel is within 2 mi (3 km) of Regional Health, Museum of the American Bison, and Art Alley. Main Street Square and Berlin Wall Exhibit are also within 2 mi (3 km). 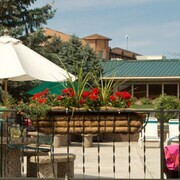 Situated in Rapid City, this motel is within 1 mi (2 km) of Pirate's Cove Adventure Golf and Rushmore Mall. Journey Museum & Learning Center and Central States Fairgrounds are also within 2 mi (3 km). 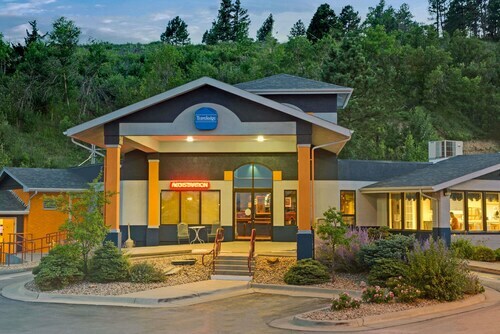 This family-friendly Rapid City hotel is located near the airport, within 3 mi (5 km) of Dakota Fields Sports Complex and Pirate's Cove Adventure Golf. Central States Fairgrounds and Rushmore Mall are also within 6 mi (10 km). 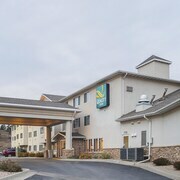 Located in the heart of Rapid City, this hotel is within 1 mi (2 km) of Pirate's Cove Adventure Golf and Rushmore Mall. Journey Museum & Learning Center and Central States Fairgrounds are also within 2 mi (3 km). 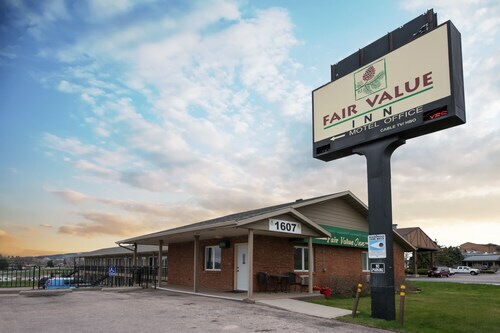 Situated in the entertainment district, this hotel is within 2 mi (3 km) of Rushmore Mall, Journey Museum & Learning Center, and Berlin Wall Exhibit. Pirate's Cove Adventure Golf and Main Street Square are also within 3 mi (5 km). How Much is a Hotel Room in Rapid City? 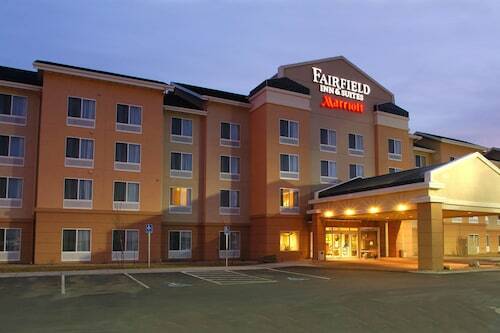 Hotels in Rapid City start at $31 per night. Prices and availability subject to change. Additional terms may apply. Previous image, 9 total items. Next image, 9 total items. Though Rapid City, South Dakota is not a huge tourist destination, it is a great city to visit if you are on a budget. Because of the amount of business travelers flying into the city, there are ample hotels and accommodations to choose from. 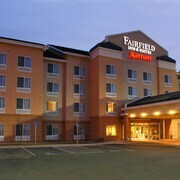 Stay in your favorite chains for low rates, plus plenty of incentives, like free Wi-Fi, daily breakfast, and more. Looking to visit Mount Rushmore? Maybe you just want to stay near the mountains. Enjoy several great – and very budget-friendly – options that offer large, clean rooms, a quiet location, pools, and free Internet, so you can make all your friends jealous of your trip. 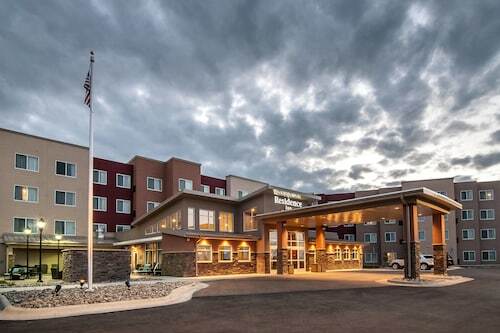 If you’re interested in a more luxurious room, Rapid City has a few 3-star hotels that are more posh than expected, are highly rated by guests, and still won’t cost you too much, so everyone can experience a more deluxe getaway. The historic Hotel Alex Johnson has been a Rapid City landmark since 1928. It boasts past celebrity guests, including presidents Nixon, Ford, Eisenhower, and Roosevelt. In fact, Alfred Hitchcock loved the hotel so much, he used it as a filming location for the movie North by Northwest. This luxury hotel features designs honoring the Sioux Indians and German immigrants that made the Dakotas their home. It is on the National Register of Historic Places list, is a member of Historic Hotels of America, and offers affordability that will surprise you. Enjoy a romantic getaway at a bed and breakfast. A cozy and homey room will set you back a little more than a regular hotel, but still not as much as you might anticipate in another major city. Book add-ons to make your stay more special or just enjoy your room, breakfast, chats with other guests, and personal service. 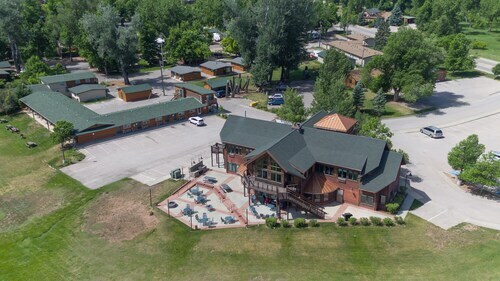 Take advantage of the gorgeous country landscape of Rapid City and the surrounding area and rent a cabin or cottage for a more rustic escape. You can make your own meals and get out in nature. If you want a change of pace, downtown is an easy drive away for a nice dinner out. Whatever type of vacation you’re looking for, you can find it in Rapid City and do it on the budget you have. Wonderful value. Check in staff was checked out, but the comfortable suite made up for it- hope to stay again! 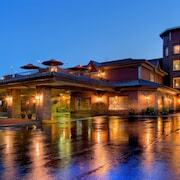 Staff was superb- friendly from the front desk staff to the breakfast and housekeeping people. Better vacuuming needed to be done- dirt and paper trash under the end tables in the bedroom. Breakfast was simple continental, but adequate for getting the day going without having to spend bucks at a restaurant. Had problems with the wifi and landlines. Issues were addressed promptly and effectively with a helpful attitude. The property was very clean with great amenities, however, I didn’t feel welcome by the staff. A simple smile or a quick acknowledgement, goes a long way in making guest feel welcome.